So you’ve decided to buy a timepiece (watch) for a very special man. Great f___ing choice! There is NO better gift for a man – ever. Now you need to decide what to buy.And where to buy it – refer to my blog, The Girlfriend Experience, for tips on WHERE to buy. Now let’s look at some indicators. The first thing to consider is your budget. Decide the maximum amount you can afford. Then double it. No, I’m serious. A proper timepiece (meaning a REAL piece with a mechanical movement vs. a quartz abomination) is a long-term asset that can outlive your grandchildren. So it makes sense to invest big money in a piece for your man. The second thing to consider is- your husband/boyfriend/friend/son/etc’s PROFESSION. As FormulaTime pointed out, a plumber will not require the same type of piece as a lawyer. If your man has a “rugged” occupation and if he would wear the piece at work, he needs a piece that can withstand some abuse. 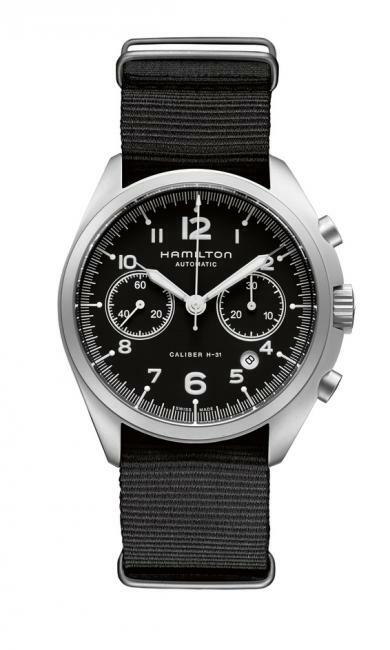 In the sub-$1000 category, you have to look at Hamilton and Oris. Although Oris seem to be getting more expensive, they have some great utilitarian models around a thousand bucks. And Hamilton OWN the sub-$1000 market. For the rugged type, I would suggest a diver on a rubber strap or maybe a pilot piece. In the higher price ranges, look at the Bell & Ross marine collection. I wear my BR02 with a suit, but it’s a rugged diver and SHOULD (in theory) be able to take some wear. Now, if your man works in an office environment, you MAY want something dressier (but not necessarily). If your man will wear the piece with a suit, perhaps a classic piece on a leather strap would be great. Under $1,000 you want the Hamilton Intra-Matic. No contest. You could also look at a Hamilton JazzMaster slim. In the higher end, you want to consider an IWC – the Portfofino, Spitfire pilot or Portuguese. But you need to consider colour. If your man does not have a good watch already; if this will be his ONLY piece, then a steel bracelet is a good bet. 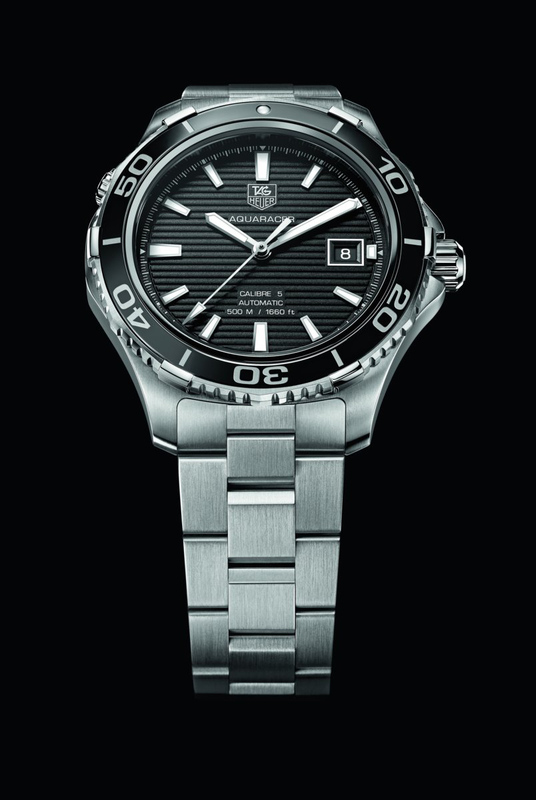 I wrote a whole post about this, actually, recommending the Tudor Pelagos. But if you have twice the budget, go for a Rolex Datejust II. For dressy pieces, I LOVE the Omega Aqua Terra lineup. I also think that Uysse Nardin Dual Time is a sensational dress piece. Some office environments are more macho. Like investment banking, trading, and various other areas of finance. 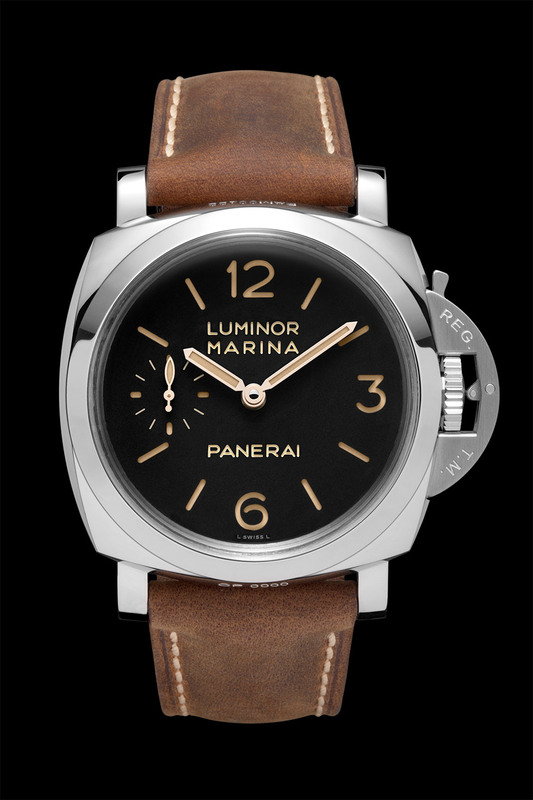 For these professions, you should go for a Panerai. 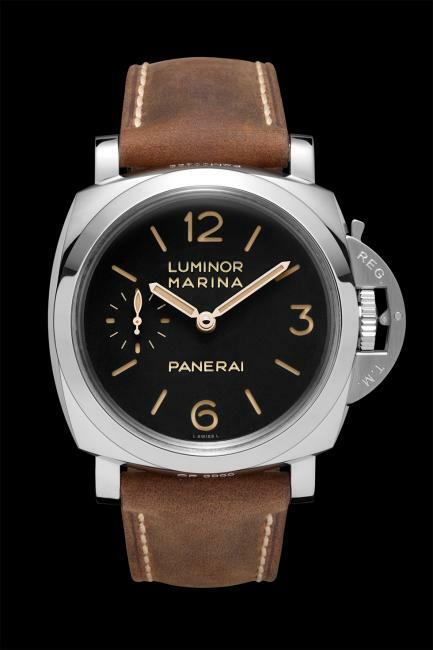 Any Panerai. For lawyers and accountants, I think IWC is excellent. The sight of an IWC Portuguese on a lawyer’s wrist just seems… right. If your man works in a medical field, or in various forms of engineering, he is exposed to magnetic fields which can ruin a watch’s performance. So you need to buy him a Rolex Milgauss, which is anti-magnetic. Or better yet, the new anti-magnetic Omega Aqua Terra. In fact, within a few years, all Omega movements will be anti-magnetic. And IWC’s Ingenieur lineup is, of course, inspired by engineers. You must also consider your man’s lifestyle. 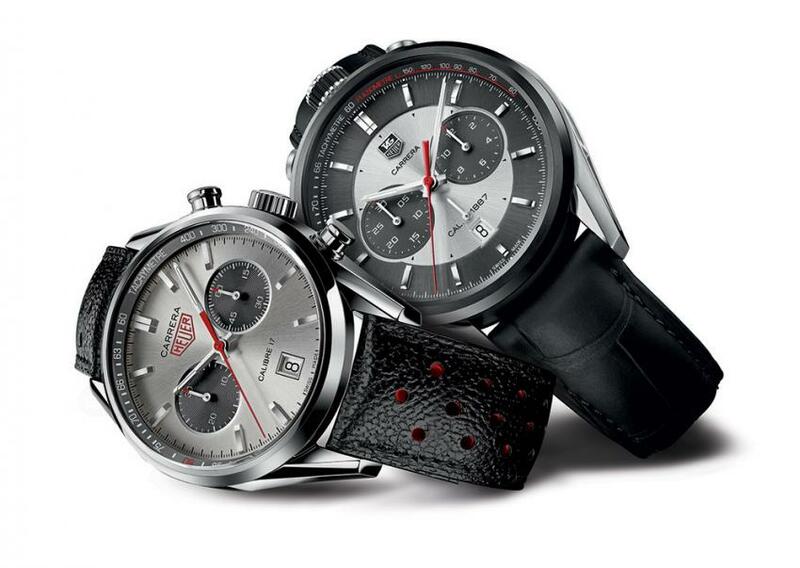 If he loves motor racing, as many of us do, then you need to buy him a TAG Heuer. My wife bought me a TAG Heuer automatic chronograph for our wedding, and this remains my favorite possession. TAG is THE piece for racing fans. If your man would wear the piece for golf, then Omega have specially designed movements in certain watches for the high-impact nature of golf. If your man enjoys competitive eating, then he needs…..no, there’s no watch for THAT! 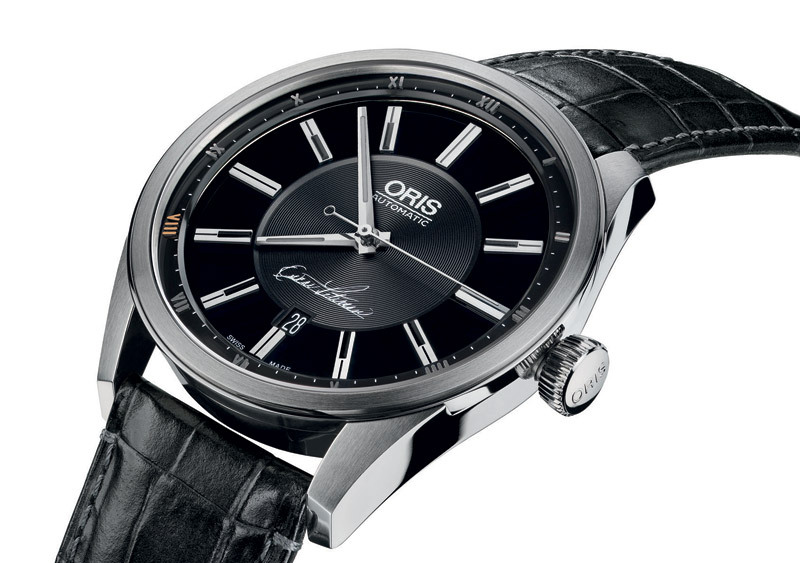 Believe it or not, Oris have different watches inspired by famous musicians. If your man is an “outdoors” explorer-type of guy, then there are watches specifically designed for his lifestyle – IWC Ingenieur, Hamilton BelowZero and even the Rolex Explorer. And how about water sports or diving? Needless to say, there is a huge selection of diving pieces out there. Does your man wear jeans and t-shirts? Or does he dress up? Rubber straps are great for casual wear whereas leather straps are great for dressier looks. Today, however, you can pretty much wear anything with anything. But it’s always nice to match your man’s style. Clean-cut and classic? Hip? High end? Sporty? If the guy is really sporty, get him a chronograph – more expensive but very sporty. For hip and casual, something with a nice rubber strap could be cool. 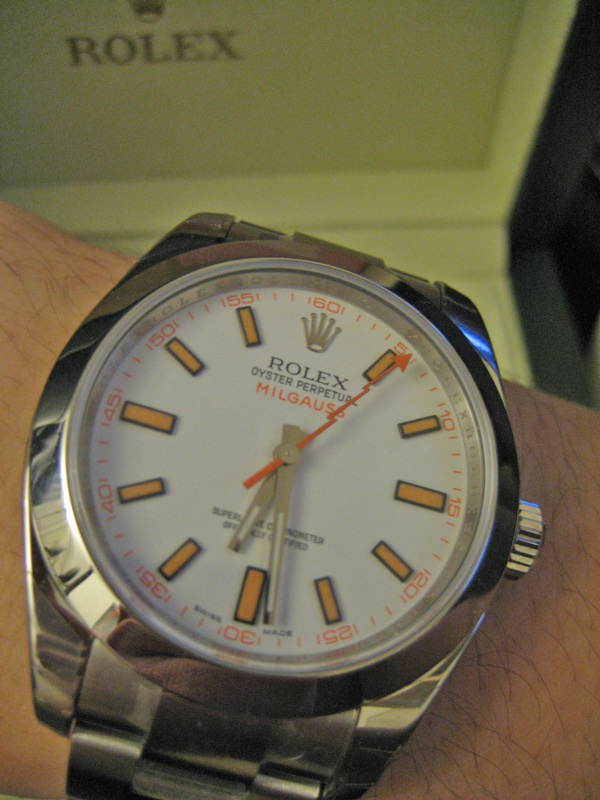 You must also consider whether your man has other watches and, if so, try to complement his existing collection. What if you can’t decide? What if your man is a little bit of everything? What if you just want to buy him a nice watch, to wear whenever, and that he’ll keep for a long time? Well….go for a classic diving watch on a stainless steel strap. The TAG Heuer Aquaracer would be the best piece in the mid-market – they come in chronograph and non-chronograph, with several models to choose from. This style of piece is sporty, but the steel bracelet dresses it up. It looks fantastic with shorts and t-shirt, and also with a business suit. 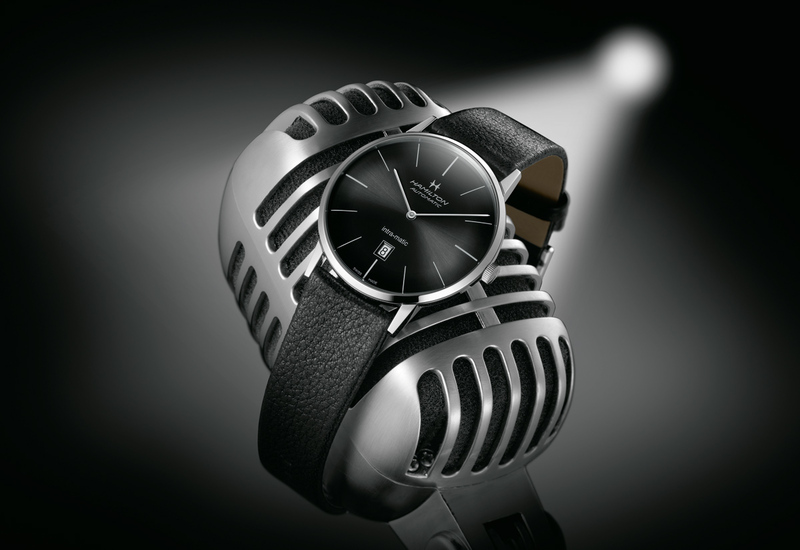 It’s a quality piece by a great brand and it has a very good (ETA) movement. I think this is your “all purpose” piece, your “covering all bases” choice. Well, I hope that helps. Enjoy the shopping. As always, the fun is in the search!